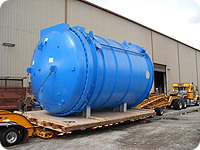 At our 25,000 sq. 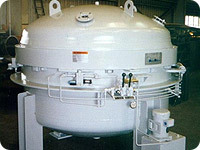 ft. fabrication shop, we perform custom designing, fabricating, testing, and installation of a broad range of vacuum pressure impregnation (VPI) autoclaves. 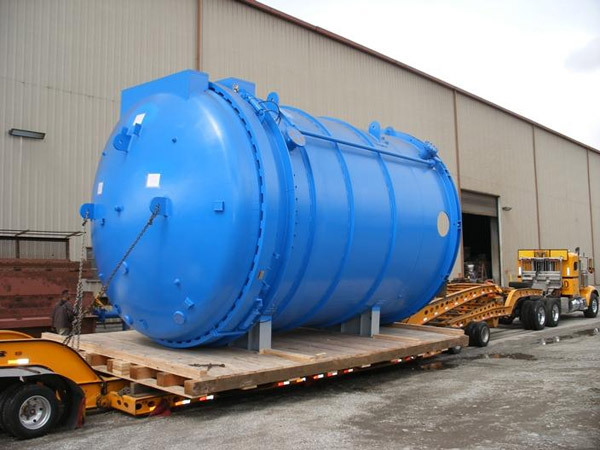 Melco Steel, Inc. impregnating systems are best suited for wood treating, resin impregnating, as well as other processing applications in industries ranging from carbon and wood product manufacturing to metallurgy. 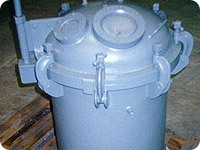 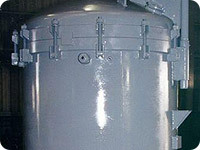 Our VPI autoclaves can be used as cost-effective alternatives for conventional dip and bake methods for processing electrical windings, armatures, castings, or powdered metal products. 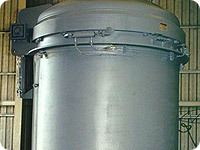 Depending on your specific processing needs, VPI systems can be offered in vertical/horizontal and vacuum/non-vacuum designs. Auxiliary support systems of our VPI autoclaves include storage racks, internal support racks, cart racks, flooring, and manifolds. 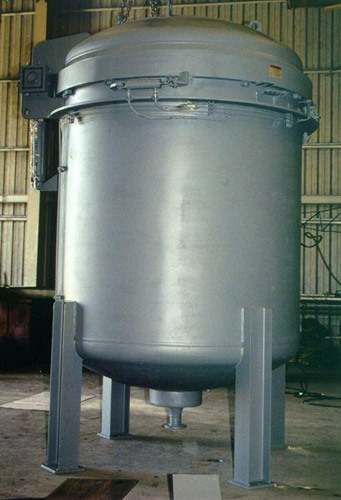 The hydraulic cylinders used to swing open the doors of our VPI process vessels are fitted with a counterbalance valve. 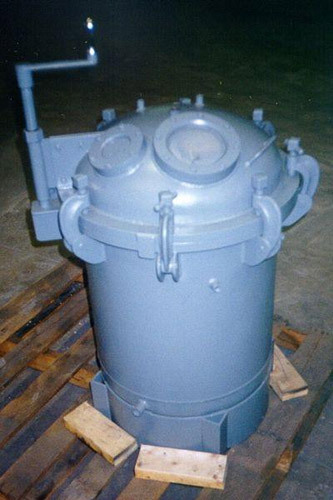 This device is used to prevent the door from falling in the event of hydraulic system failure. 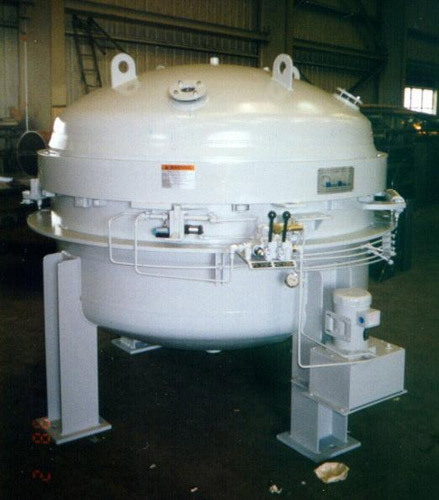 We specialize in building counterbalance valves customized to your VPI tank configuration and weight. 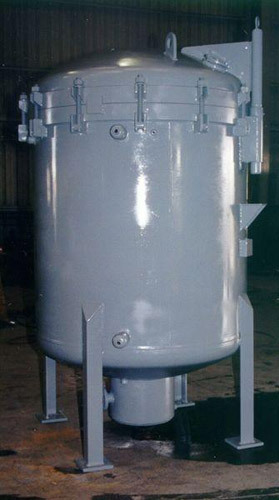 A kit can be provided that consists of a factory set counterbalance valve, tube, and tube fittings for installation on a existing VPI tank fitted with non-counterbalance valve. 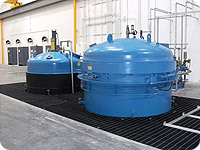 Depending on the size and type of parts impregnated, desired sealing results, as well as other production parameters, our VPI systems can be customized in a number of ways.